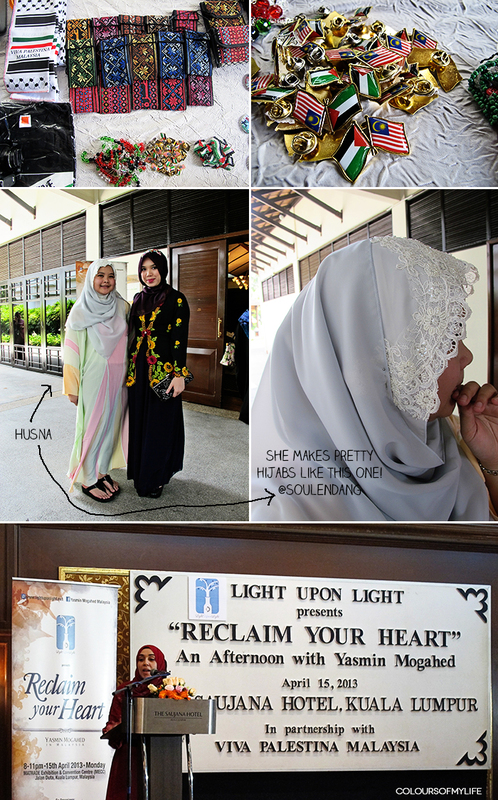 One of the best parts is that ticket sales of both events went towards projects for women in Gaza, inshaAllah. Here's a little something for everyone who couldn't be with us that day. Had to snap a quick picture with this lovely person, mashaAllah! I wish all of you could have been there too! I recorded parts of her talks so I could share the knowledge with you. Amateur video recording and editing skills aside, I hope you will benefit from the snippets I've compiled, inshaAllah. 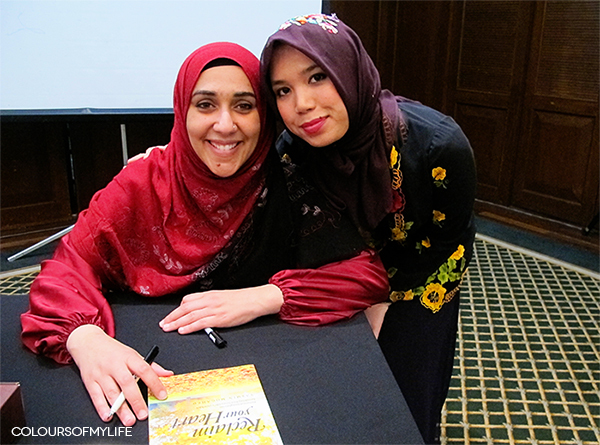 If you simply can't enough of Yasmin Mogahed's inspiring words you can purchase her book "Reclaim Your Heart" and listen to her talks online. 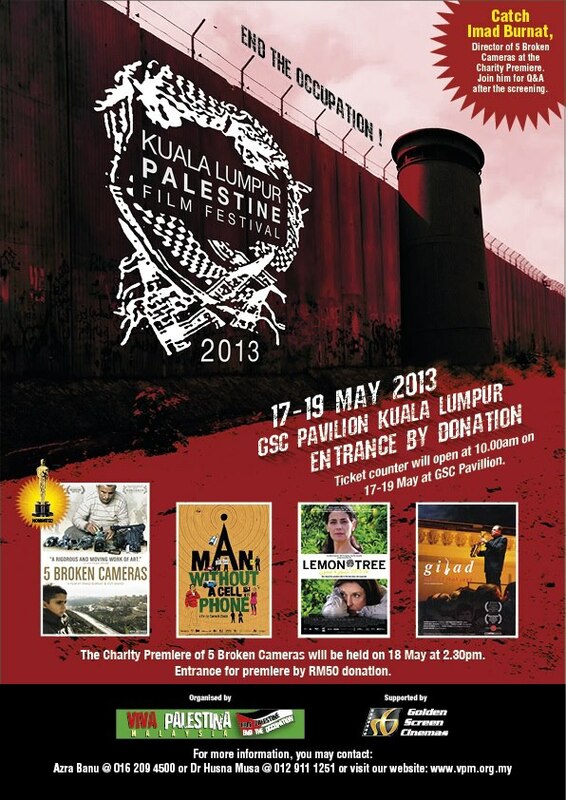 By the way, for those in Kuala Lumpur, I hope you know about the Kuala Lumpur Palestine Film Festival that's happening this weekend. Palestinian filmmaker, Emad Burnat, whose documentary '5 Broken Cameras' was nominated at the 2013 Oscars will also be there with his family, inshaAllah. This is a once in a year event that you wouldn't want to miss! Furthermore, proceeds from ticket sales will help the rehabilitation of the agricultural sector and the pediatric Surgical Referral Centre in the Gaza Strip. Have a look at the films' synopses and be excited about the opportunity to make a difference in the lives of Gazans and watch these great films at the Golden Screen Cinemas theatre at Pavilion Mall this weekend. Ticket prices: RM 10 per movie except for the '5 Broken Cameras' charity premiere on Saturday which costs RM 50. Please book your tickets before they are sold out (it happened last year!). 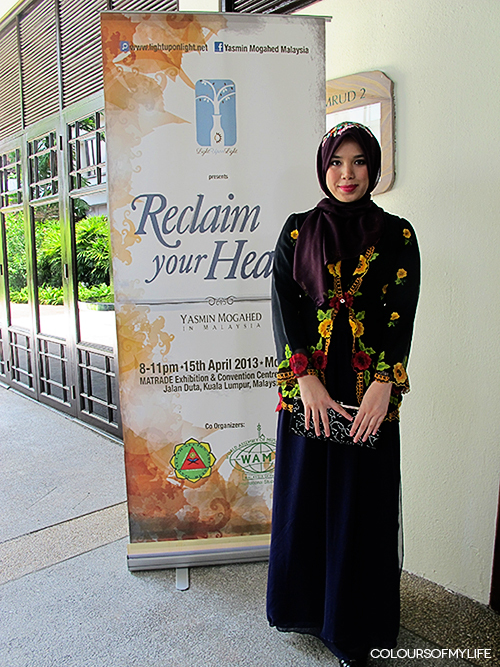 You may contact Husna at 012 911 1251. Ugh, I wanna go to Kuala Lumpur! !